What happens when you don’t pay your credit card bill? Credit card bills indicate payment due dates along with a minimum amount payable. If you do not pay the minimum amount and your bill is overdue, you will be charged interest on the outstanding amount. How much interest is payable on an overdue credit card payment? The APR or interest charged on the outstanding amount will be as outlined in the card offer. Interest charges on outstanding payments are quite high. What should you do if you miss your credit card payment? - Some credit cards offer a grace period by which you can pay your overdue amount without any charge. Try to avail of this as soon as you become aware of any amount outstanding on your card. - If you miss the grace period, call the credit card company (customer service) and explain the reason behind your overdue amount. If genuine, they often oblige clients and reverse the late payment charges. Ensure payment is made immediately. - Try to pay the entire outstanding amount in full and not allow the amount to remain due for a long time. - If you do not have money to make payment at all, call your credit card company and discuss your options. You may be able to avail a personal loan to clear the payment. Interest rates on personal loans are lower than the interest charges on credit cards. Why do people miss their credit card payments? - Credit cardholders miss payments due to insufficiency of funds. This can happen when there is a disruption in a cardholder’s income or some emergency that require funds to be diverted elsewhere. - Some credit cardholders do not make payments due to poor payment habits. Many people possess multiple credit cards and lose track of due dates on each card. They often forget to pay on time or forget to pay altogether. - There are some situations where people with good payment records and sufficient funds are unable to pay for e.g. while travelling. What is the effect of late payment of your credit card bills? - You are charged late payment fees. - You are charged interest on the outstanding amount. The interest rates may be increased if you frequently make late payments. - Your late payments are reported to CIBIL. This affects your credit history negatively. It brings down your credit score drastically thereby creating an adverse view of your credit standing. Poor credit rating will affect your approvals/bargaining power if you apply for a loan or a new credit card. Late payments remain on your credit report for 7 years. What can you do to avoid late payments? - Pay on time! Be aware of the due dates on your credit cards especially if you have multiple cards. Payments can be made online so don’t wait to be intimated of the amount due. You can check your statements online and make payments immediately. - Opt for a direct debit facility whereby standing instructions are given to your bank to debit your account for the amount due on your credit card on the due date. However, do ensure you maintain sufficient funds in your account. - Maintain only as many credit cards as you can handle. One card is often adequate. Do not take on new cards unless required or it provides some specific benefit. Creating a debt is never recommended except when actually needed. What can you do if your poor payment habit has already affected your credit score? You can improve your credit rating by making on-time payments. The more consistent you are with your payments, the better your credit rating will be. Over a period of time, it will reflect on your credit history. 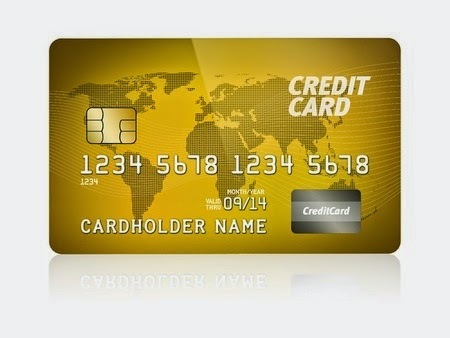 Credit cards are an excellent product to have but require financial discipline to make the best use of it. Avoid missing payments on your credit card bills to save yourself the hassle of late charges and an adverse credit report. Choose a card that is most suited to your spending needs and payment ability.